Google Wallet originally launched in September of 2011. 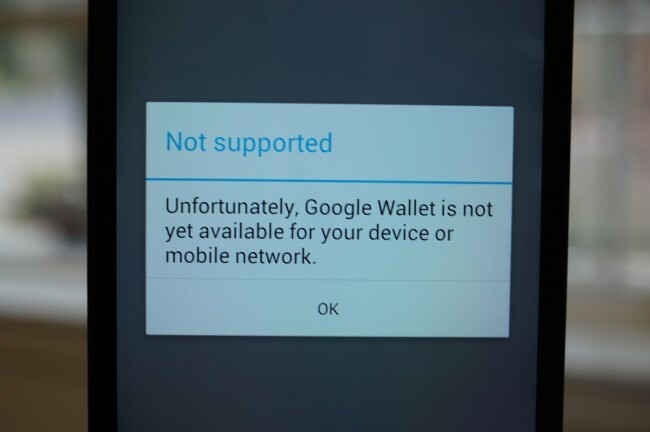 Here we are over a year later, and the mobile payment app is still not available to Verizon’s NFC-equipped phones. Even after refuting reports that they were blocking the app, when they actually were blocking the app, it’s still an app that is only available to select unlocked phones and a couple of others on Sprint. Why is that? Verizon has continued to argue that they aren’t stopping you from installing the app (which is now true thanks to the FCC), but that the app hasn’t been approved to work with their devices because it’s different than the thousands of other apps in the Google Play store. 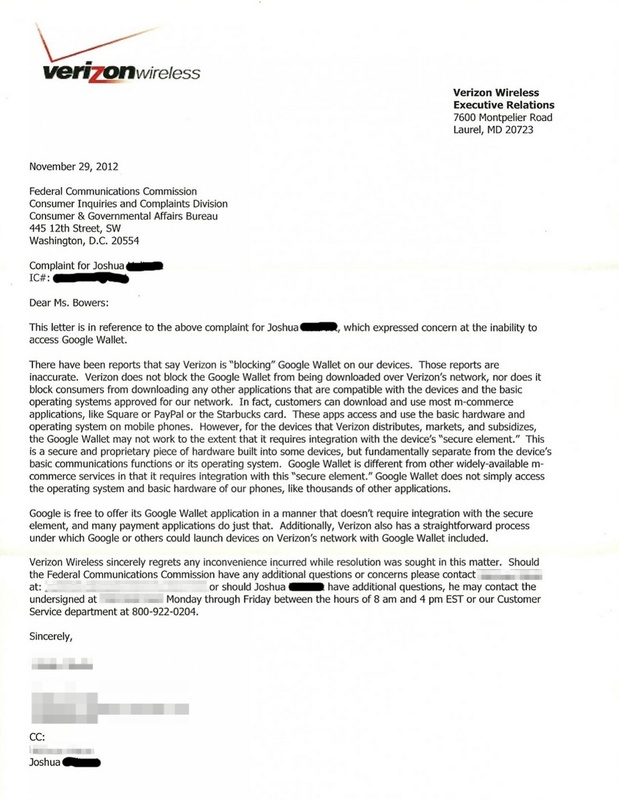 Their argument, which is laid out in a response to an FCC complaint (pictured below), suggests that since Google Wallet uses the “secure element” on your phone, it needs to go through a separate approval process of theirs, one that Google apparently knows about already. The letter also mentions that Google is free to remove the secure element requirement from the app, and join the likes of PayPal and Square that have approved payments apps. Yeah, because that doesn’t defeat the entire purpose of Wallet. We aren’t exactly sure what this special “process” is that Verizon is referring to, but if we look at their own Isis Mobile Wallet app, we might have an idea. Isis – the joint venture between T-Mobile, AT&T and Verizon – is the first mobile payment system to use NFC-equipped SIM cards that appear to add an additional level of security to NFC payments. Google Wallet doesn’t currently work this way, it only uses the secure NFC chip attached to your phone. If building in NFC SIM support is all Google needs to do, you would think they would have gone that route already. Unless of course, it’s not that straightforward, which it likely isn’t.